Simpactful wrote last year about the often-overlooked growth at warehouse club retailers over the past decade. Costco, BJ’s and Sam’s Club have repeatedly overcome threats from Amazon by focusing on their member loyalty and staying true to their unique business model. With a higher degree of member loyalty, it’s not enough for brands to focus only on selling in new distribution, but also have thought through how to keep that distribution with ongoing growth plans. 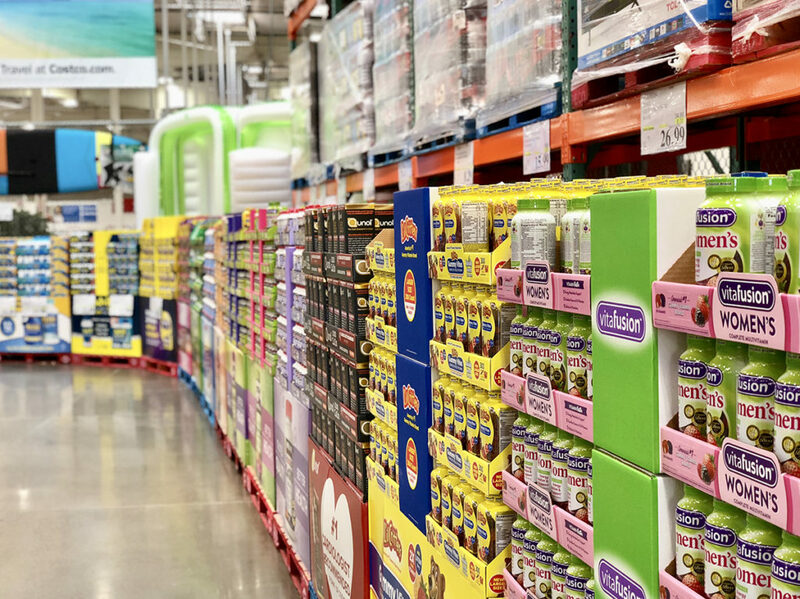 The Simpactful team specializing in getting products into club warehouses – and also keeping them there – share their insights from years of experience in leadership roles at Costco, Sam’s, and leading suppliers like P&G. This team of experts emphasize that the most important thing suppliers need to start with is an understanding of the club member model and how their buyers will execute against the model. Not recognizing that customers are members. They pay to shop there. Todd Ruberg, Simpactful Partner, explains, “You have to remember that club members pay to shop there. That means their expectations are that they will find unique items and values that are worth the membership they pay. Too many suppliers fail to create some real differentiation or unique features that are worth the price of membership.” This means there needs to be heightened sense of differentiation than at traditional retailers. Clubs need SKUs that have a degree of uniqueness, but also stay true to the brand’s equity. There are a number of best practice examples in this area from Simpactful’s work with retailers like Sam’s and Costco that can be integrated into a supplier’s partnership with the club operators. “Lack of pallet-back design on secondary package with power claims is often overlooked,” adds Julie Walker Sr Consultant, “You really need to have that WOW value come across in the packaging versus traditional brown box packaging only.” Simpactful recently worked with a supplier on reinventing packaging art for a pallet billboard leading to more than a 20% sales lift. Simpactful Senior Consultant, Mark Sjoboen, with over a decade at Costco, shares that one common mistake he has seen is suppliers trying to present the “member suggested pricing” instead of working with the club warehouse on total distributed cost efficiencies. “Members expect get the best value possible on an item,” says Sjoboen, “and the buyer is trained to make sure they can offer this.” Bottom line: focus on cost efficiency, and the buyer will determine the value through retail price. For suppliers feeling apprehensive giving up control in retail pricing, Simpactful works with suppliers on total distributed cost drivers. For example, Simpactful worked with a client to change package cubic size and which lowered the transportation and warehousing space costs, creating value for both supplier and the Warehouse Club. Overall, club warehouses have an expectation from their customers of value and quality. In the mind of the loyal customer, your product needs to be the one the customer is excited to brag about purchasing. If you’re playing by the traditional rules of retail, your customers won’t feel that “brag mentality” and the buyers will immediately see that. By implementing these mindset shifts into your supplier strategy with club warehouses, the experts at Simpactful can strengthen your distribution and prepare you for success. Deliver an overview to the channel/retailers that will help you understand their operating model, strategies, requirements, and current best examples of getting, growing, and keeping distribution. Profit building ideas and current best examples: how to optimize costs while also delivering value to the club’s members. Innovation processes for upstream planning: how to develop winning club SKUs with your planned initiative launches and how to avoid the costly “developing a club SKU later” mindset. Assess your current capabilities in getting and keeping club distribution by pinpointing highest priority improvement areas to succeed. Reach out to Simpactful today at contact@simpactful.com or 925-234-6394.